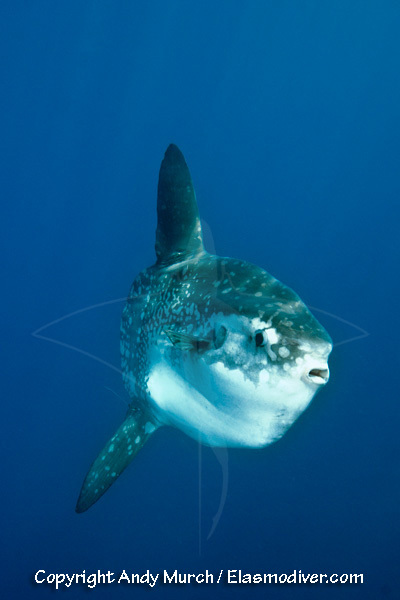 The ocean sunfish or mola mola is the heaviest bony fish (teliost fish). It also produces more eggs than any other vertebrate. 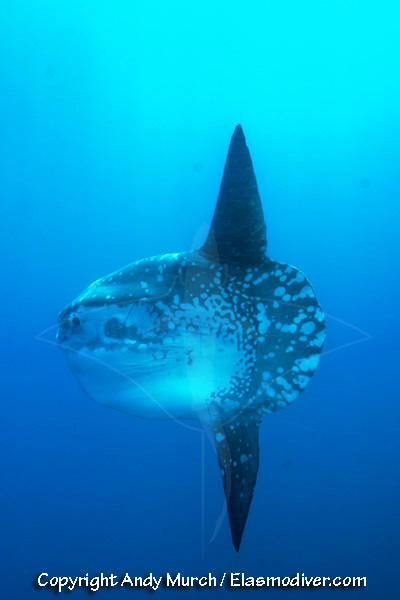 It swims by flapping its upper and lower dorsal fins back and forth and can move surprisingly fast for a fish with no tail propulsion, sometimes even leaping clear of the water. 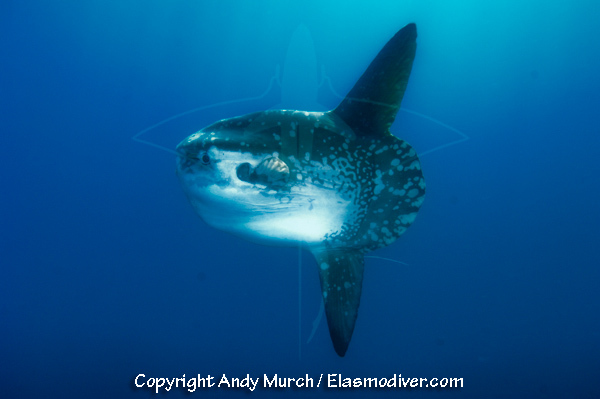 These ocean sunfish pictures are available for commercial licensing. For further information regarding usage please e-mail Elasmodiver. All of the images on elasmodiver.com are copyright protected. 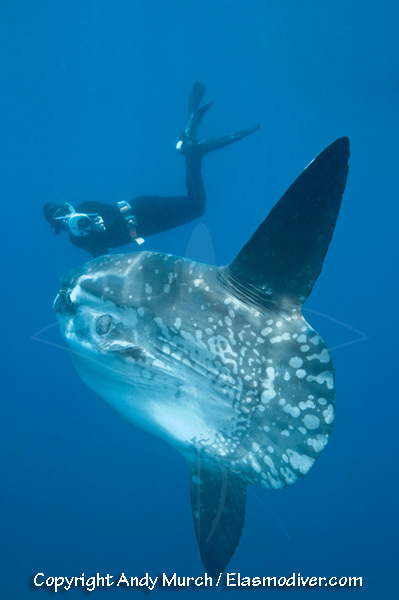 No unauthorized use of these ocean sunfish pictures is permitted. Please contact Elasmodiver for further information.